Coconut oil's champions say it works as a treatment against everything from Alzheimer’s disease to thyroid issues. But a German epidemiologist is shaking up coconut oil lovers in a recent YouTube video. In the talk, Karin Michels, an adjunct professor at the Harvard TH Chan School of Public Health, calls coconut oil a harmful saturated fat. "Fact is, coconut oil is pure poison," said Michels, director of the Institute for Prevention and Tumor Epidemiology at the University of Freiburg in Germany. The video, which is in German, has been viewed nearly 1 million times. How bad is coconut oil, really? Is it that different from other dietary fats? There is no one super-healthy source of fat. A healthy diet can incorporate a variety of all fats —in moderation. It's the amount and the type of fat that matters when you’re looking for a smart choice. The scientific literature consistently supports the idea that high consumption of saturated fats is highly correlated with an increased risk of heart disease, while fat intake from unsaturated sources — like olives, nuts, and sunflowers— boosts heart health. 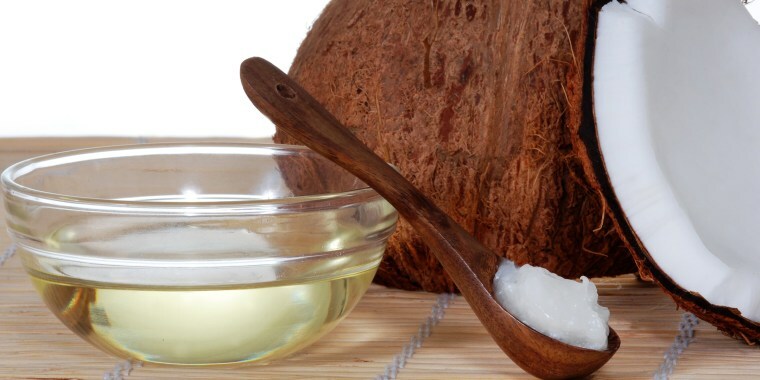 Despite the fact that it’s a saturated fat, coconut oil's advocates believe it can aid in treating a number of conditions including heart disease, arthritis, weight gain, and the aforementioned thyroid issues and Alzheimer’s disease. They even claim it boosts immunity. Yet much of this information is based on testimonials and self-report. The scientific data on the potential health benefits of coconut oil are only slowly developing with most nutrition experts and regulatory nutrition groups generally agreeing there isn’t yet convincing evidence on what this tropical oil does in terms of heart health and overall disease management. While some population studies have suggested that areas consuming high amounts of coconut oil — such as Sri Lanka —have lower incidence of heart disease, the studies don’t take into account that other factors, like genetics, exercise, and overall diet quality that also play important roles. All fats have different fatty acid patterns and two fatty acids in coconut oil are myristic acid — which is heart-friendly —and lauric acid — which is not heart-friendly. Selected preliminary studies suggest that in a controlled laboratory setting, coconut oil consumption increases both LDL (think “L” for lousy) as well as HDL (think “H” for healthy) cholesterol. Some suggest the fact that it keeps cholesterol stable makes coconut oil a “better-for-you” saturated fat. However, studies have not yet determined how this ultimately might impact health over the long term. Comparisons of refined coconut oil (processed) to the newer virgin (unprocessed) coconut oil add further confusion. There are simply no evidence-based answers yet to clarify the impact of one or the other on heart health. Coconut oil has the same calories as all other fats, about 120 calories/tablespoon. You don’t want to swap heart-healthy unsaturated fats —like nuts, seeds, and other plant oils — for a saturated fat like coconut oil. If you enjoy coconut oil, it’s OK to use it sparingly. It’s also okay to replace other sources of saturated fat with coconut oil, if you like its taste better. You can eat all kinds of heart-healthy fats every day. You should limit saturated fat to about 22 grams per day, or 10 percent of your daily calories. If you love coconut oil’s flavor, by all means, cook with it, but keep your intake modest until scientific studies document more of its health risks and benefits. Don't want to consume coconut oil? Use it as a “topical fat" on your skin and hair. Coconut oil has been recommended as a body lotion, moisturizer, eye cream, massage oil, hair conditioner, lip balm, and more. This story was originally published in 2016. It has been updated.